Distance 15-20 Pace 10-12 mph (speed of slowest participant) Hills: no Breaks: 1 Drops: no Leader: Paul Aakre This is an easy ride and the route changes weekly. 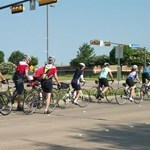 Meet at parking lot ... moreat University Park City Hall at Golf & Haynie. Golf is between Hillcrest & Preston; lot is 1 block north of University. 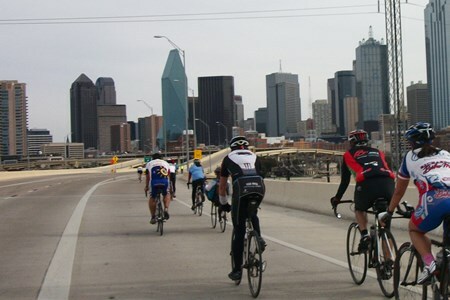 The Sunday Roll Distance: 30-35 Pace: 14-16 mph Hills: Gentle Breaks: 1 Drops: No Leader: Group ride Maps provided: No "Explore Dallas" ride, starts at NE corner of Preston & Royal. ... morePark in middle of parking lot. The route changes weekly. Not for beginners -- No drops intended, but be able to keep a 15-16 flat cruising pace (thus the "2+" rating) to keep the group together, and do some optional hills. 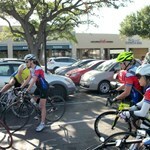 An optional lunch follows the ride in a local restaurant. Ken Wilson 817/929-4869. 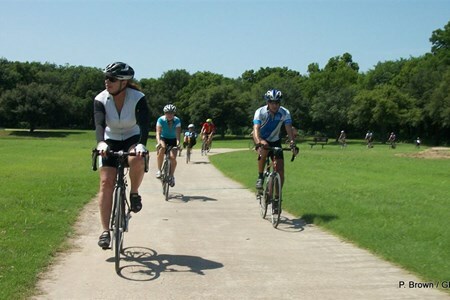 This ride is designed for casual pace riders, or new riders who might be relatively new to the group ride concept, or are just now starting to stretch their mileage past 5-10 miles. 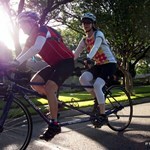 ... moreMy wife and I will (normally) be on our tandem, which practically guarantees staying under 16 mph. 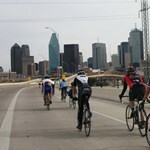 The ride leaves from the "Big Thicket" house on the east side of White Rock Lake, and will circle the lake. Please arrive early enough to be ready to roll at the planned departure time! 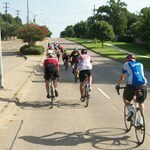 Typical flat road pace ~12-14 mph, but this is group-dependent, and we regroup if needed. We will attempt to do two full laps of White Rock, if daylight allows, alternating directions. Lights not required, but helmets are, and blinkies are recommended. Please bring tools and tubes to be self-sufficient, in case of flats! 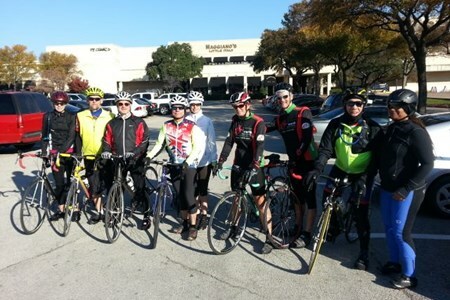 Join a fun-loving group for an evening ride. 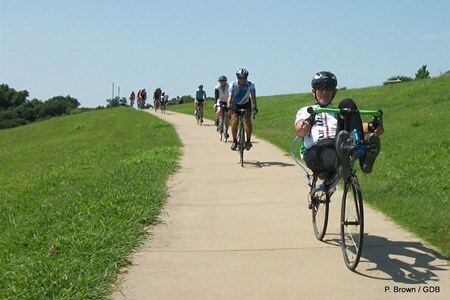 Perfect for "new/casual riders" (~13-14mph avg} Routes may vary through the season. 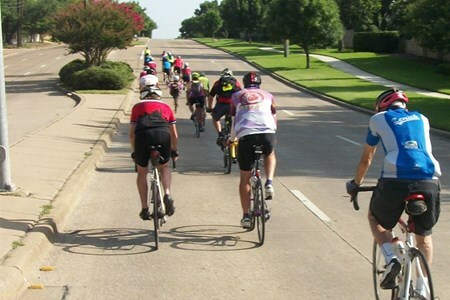 Current route is a "tour of homes" through Northhaven and Edgemere areas down to University Park and back through Preston Hollow. 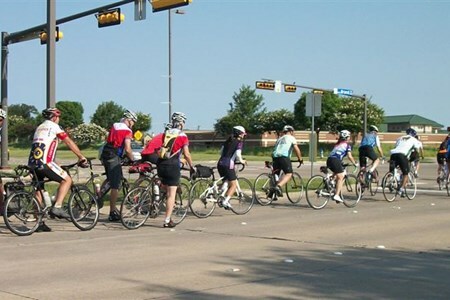 Park in parking lot in front of Performance Bike Shop off of Valley View west of Midway and North of LBJ and be ready to head out at the scheduled time of ride. New participants please make yourselves known to others. Meet 661 18th Street, Plano. 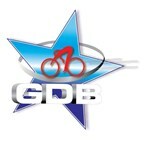 Speed varies depending on skill of the riders. Multiple groups, frequently two doing different distances. Optional lunch following ride. Distance: 35-50 Pace: 14-16 mph Hills: Some, with regrouping Breaks: as needed Drops: No Leader: Front Maps provided: No This ride is perfect for building moderate distance and endurance, ... moreor for a recovery ride. 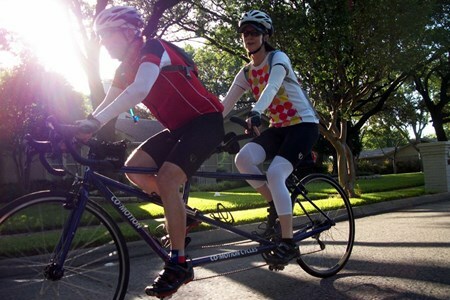 It is designed to help a rider get into better shape, lose weight, and ride farther. No one gets dropped and we re-group often. 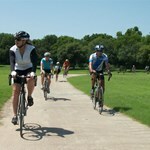 It is a very nice ride to keep your legs and make new friends bicycling. Optional lunch following ride. Meet at SouthWest corner of Preston/Forest. 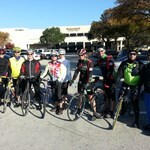 GDB DFW Airport Ride Start at Preston/Forest southwest corner parking lot. Please park near the perimeter of the lot, and show respect for our ‘guest’ status in the merchant’s parking ... morelot!